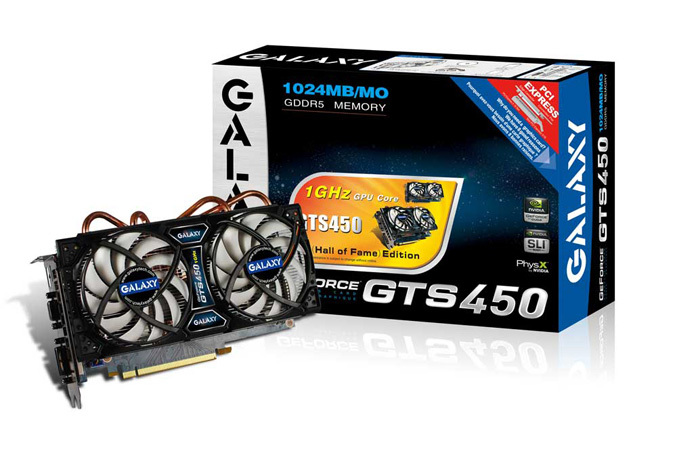 Galaxy Microsystems out a new custom version of GeForce GTS 450 graphics card, which they claim is the fastest GTS 450 graphics card on the market. Galaxy’s GTS 450 Hall of Fame edition has factory overclocked GPU at 1000 MHz and shader and memory clocks 2000 MHz and 4100 MHz. It has a dual-slot cooling solution featuring two PWM fans and four heatpipes and also has 3+1 phase power supply design. The video card comes with 1GB Samsung 0.4ns GDDR5 memory, a dual-DVI and HDMI outputs. The price is still unknown. Raptor Gaming intros H3 Gaming headset with "Enemy-Location-Mode"